A 37-year-old Russian man was booked without detention for allegedly stealing valuables from a car owned by a member of a film crew while a shoot was going on, Busan Jungbu Police said Friday. “We have retrieved all that had been taken from the victims,” the police said. 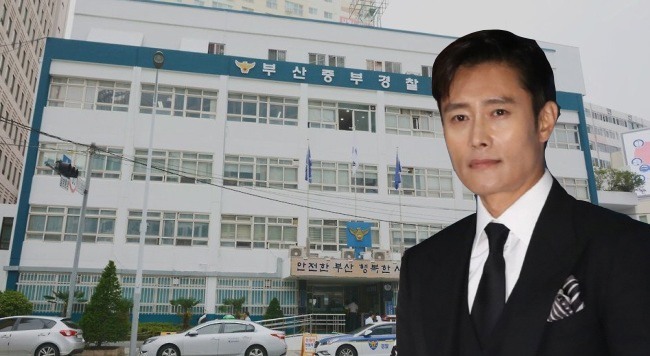 Police say the suspect entered the vehicle of a member of the film crew for “Chiefs of Namsan,” in which Lee Byung-hun plays the lead role, in Busan on Dec. 9 at around 6:45 a.m.
From the car, the suspect is accused of stealing some 5 million won ($4,500) worth of goods including two cameras, a padded coat and a tablet computer. The police say they tracked down the suspect via street CCTV footage. A subsequent police investigation revealed that the suspect entered Korea two years ago with a working visa but was unemployed at the moment, police said.